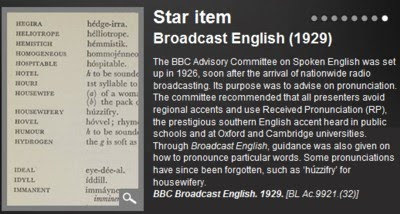 It is good from time to time to stand back and consider what the phonetics of familiar languages look like from the perspective of language universals, and how they might appear to those who don’t know them. Vowel systems of different languages vary widely in size. And which language would hold that record number of fourteen vowels? Standard German! (Count them: iː ɪ eː ɛ aː a yː ʏ øː œ uː ʊ oː ɔ, to which you could of course add ɛː for some speakers. The weak vowels ə ɐ are not counted, nor the nasalized vowels used in borrowed French words.) The “variety of British English included here” is reckoned to come in equal second place, with thirteen. Its posited inventory presumably comprises iː ɪ e æ ɑː ɒ ɔː ʊ uː ʌ ɜː eɪ əʊ, the last two being regarded as unitary. Not only the remaining diphthongs but also schwa are excluded. 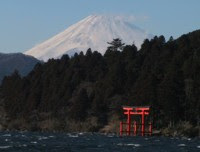 Considerably more languages have an inventory of five vowels than any other number — just over a third of the sample. 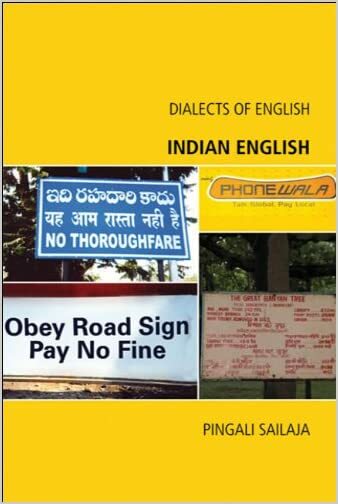 Familiar examples would be Spanish, Greek, Japanese and Swahili, all with just i e a o u. Polish adds one more, ɨ, giving six vowels (ignoring the nasalized ones, which we can arguably analyse away). Korean adds two, ʌ ɯ, giving seven. Four languages in the sample have only two contrasting vowel qualities. 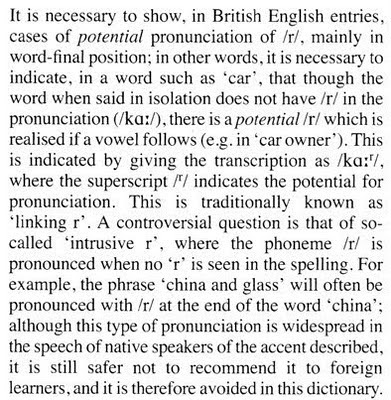 You can see why many foreign learners of English (but not speakers of other Germanic languages) would find the English vowel contrasts so difficult to master. 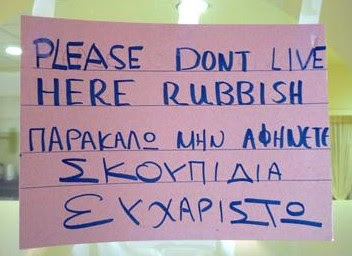 Not to mention foreign learners of German. No posting tomorrow. Next: 2 December. On Friday, as I watched live television coverage of the result of the by-election in the Irish Republic, I was astounded to hear the returning officer for Donegal South-West pronounce the name of the party in third position, Fine Gael, as faɪn ɡeɪl. The results in English, in which I heard this, were preceded by the results in Irish, but since the Sky News commentator saw fit to talk over the Irish-language results I could not hear what she may have said when pronouncing this name in an Irish-language context. We English know that we are supposed to pronounce the first word of Fine Gael as ˈfɪnə. How come this Irish lady doesn’t know that? Or was it just a slip due to nervousness? In Irish, I believe, both consonants in Fine are palatalized, making the name of the party in Irish ˈfʲɪnʲə ˈɡeːɫ̪. Compare the name of the other major party, Fianna Fáil ˈfiənə ˈfɑːlʲ, usually anglicized as ˈfiːənə ˈfɔɪl. The pronunciation of the first word is confusingly similar to Fine. The second word, Fáil, is alternatively anglicized as fɔːl, though this is appropriate really only for speakers who make all ls clear, as most Irish people do. In Irish I think it must be the genitive of a noun with the nominative form fál: the lateral would be velarized in the nominative and palatalized in the genitive. We map this palatalization onto the second part of the English ɔɪ diphthong. The winning party in Donegal SW was Sinn Féin. We all know how to pronounce that in English: ˈʃɪn ˈfeɪn. Looking at LPD, I find I give the Irish as ˌʃin̪ʲ ˈheːnʲ. Although this has remained unchanged in LPD since the first edition twenty years ago, I think it must be wrong. Wikipedia says it should be ʃɪnʲ fʲeːnʲ, which I am inclined to believe. Perhaps someone who knows Irish can set us straight. 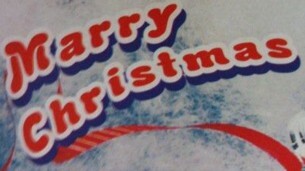 Where did I get the idea that the f- is lenited to h here? Anyhow, surely the lenition product of f is zero? And if there were lenition here, surely it would be signalled in spelling? 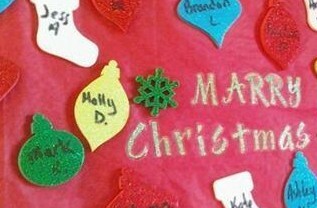 How come no one has complained about the entry, or reported the mistake (if that is what it is)? And so finally to LPD. Rather than omit reference in the entries to possible intrusive r like EPD, or use an ad-hoc notational convention like ODP, for LPD I applied a notational convention not restricted to the matter of intrusive r. Namely, LPD divides “optional sounds” into two categories. Those shown in italics are “sounds which the foreign learner is recommended to include (although native speakers sometimes omit them)”. Those shown as raised letters are “sounds which the foreign learner is recommended to ignore (although native speakers sometimes include them)”. 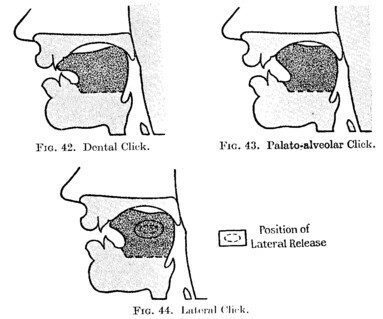 Put another way, sounds shown in italics may optionally be elided; those shown raised may optionally be inserted. 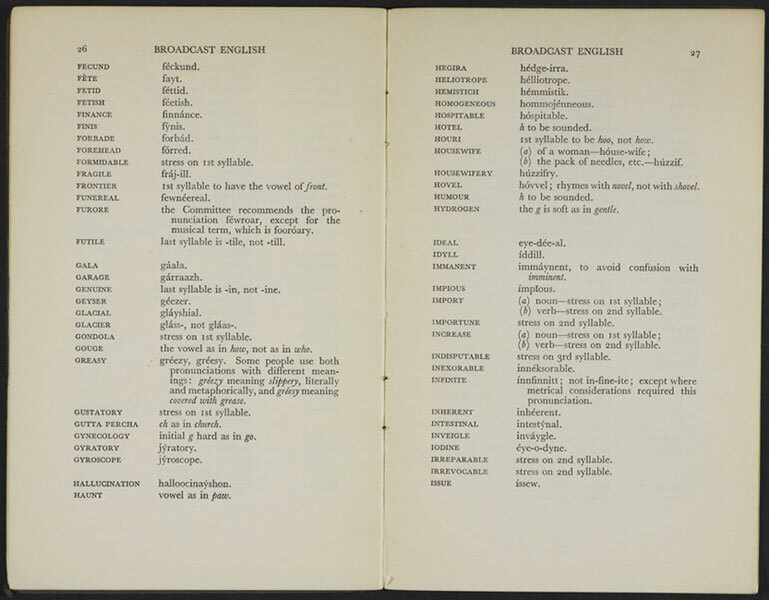 Since both categories are optional sounds, what is the basis for distinguishing them? You may well ask. It is covertly orthographic, though not only orthographic. 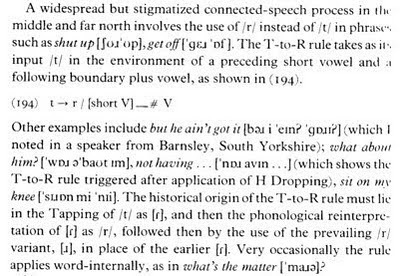 The t segment that some but not all speakers use in mints mɪnts is reflected not only in the spelling but also morphologically, since the t of the singular mint is not a candidate for elision. In mince mɪnts, on the other hand, there is no such support for the plosive used by some but not all speakers. 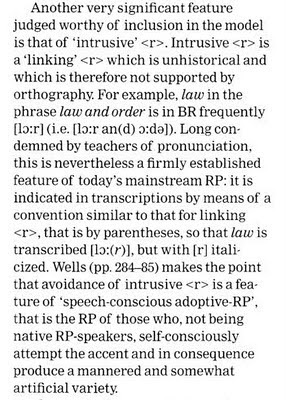 Here is what LPD says about linking and intrusive r.
Since LPD, unlike the other dictionaries, transcribes in full the inflected forms of monosyllabic verbs, its entries for saw, -ing and soar, -ing are longer, more explicit, and therefore more complicated. Here is the entry for withdrawal. A word on my own personal usage. I use intrusive r freely after ə, ɑː and the centring diphthongs, even word-internally, but never after ɔː. So I would readily put an r in china and glass, Grandma again and even in semi-nonce forms such as concertinaing, magentaish; but not in thaw out, sawing, withdrawal. Historically, I think this constitutes an intermediate step between an earlier generation (DJ) that still distinguished ɔə (soar) from ɔː (saw), with consistent r links after the first but not after the second, and later generations for whom the two categories are entirely merged as ɔː. You could say that those like me have the phonetic merger of the two categories but not yet the phonological (lexical) merger. You may think that the theoretical underpinning of the distinction between optional elision and optional insertion is weak. In its defence I would say that it does nicely cater for (i) usage such as my own, consistently distinguishing mints – mince and sawing – soaring, and (ii) statistics such as those furnished by Hannisdal, who showed that in newsreaders’ usage linking r was found significantly more often than intrusive r, even though both categories are frequent. 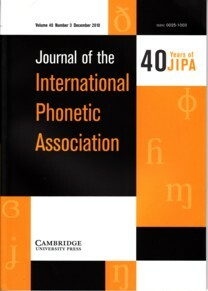 The Oxford Dictionary of Pronunciation for Current English, to give it its full title, was published by OUP in 2001, edited by Clive Upton, William A. Kretschmar Jr. and Rafal Konopka. 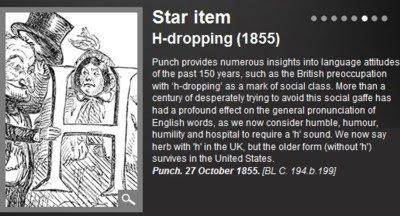 It has a longer discussion of intrusive r than either of the other two pronunciation dictionaries. No two ways about that: intrusive r is a “very significant feature judged worthy of inclusion in the model”, and “a firmly established feature of today’s mainstream RP”. Accordingly we find the possibility of intrusive r indicated through the entries by a parenthesized italic (r). 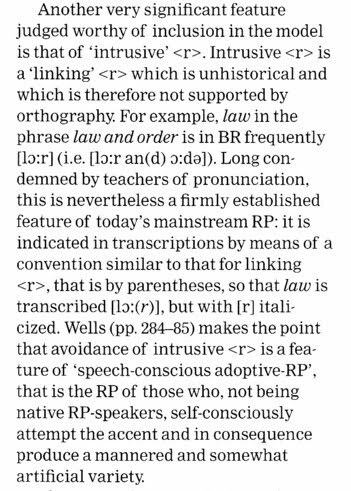 Historically justified linking r, on the other hand, is shown by a parenthesized plain roman (r). As far as I can tell, this is the only use of italicization in the ODP transcriptions. Our potential homophones sawing and soaring are shown like this. The word withdrawal is transcribed in four different ways per variety, with the possibility of intrusive r shown throughout for BrE. This places ODP firmly in the camp of objective description (yesterday’s blog).